What can I say about this one? Well… I love this movement! The case is the usual classic style, made in stainless steel, with a screw in caseback. It is 35mm in diameter and it is entirely polished except for the sides that are brushed. The winding crown is made in stainless steel (just as the entire case is) and it is signed CTZ. The polished bezel holds in place a domed acrylic crystal. The dial is silver, simple, with a sunburst effect. 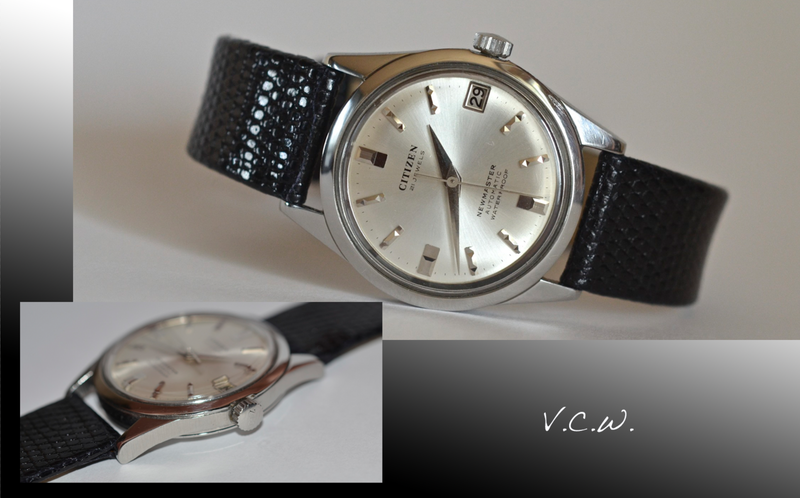 It has black writing: “Citizen 21 jewels”, “Newmaster automatic waterproof”. The applied hour markers are polished and have multiple surfaces that reflect the light no matter the angle from where you look at them. The hour date (black numbers on a white disk) has a applied frame too. The hands are polished too (without luminous material) and have a classic shape. The movement is the main feature of this watch due to the ring rotor that I like a lot. It is a 21 jewels movement, beating at 18,000 bph. It has a power reserve at about 45hours. The date changes only by advancing the hands. The movement, as stated , is an automatic but can be manually winded too. I came to the conclusion that the rotating ring has 4 or 6 screws but the 4 screws one seems to be a more rare type. The thing I like the most it the beautiful sound that the rotor is making when rotating, smooth, loud, mechanic. The strap in this case is a aftermarket shinny lizard skin one. I think it goes very well with the watch. 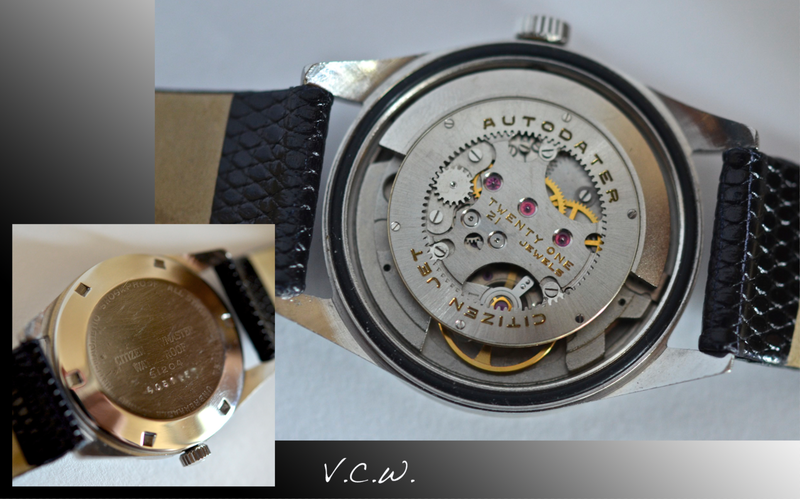 As a conclusion, I think anyone would love to experiment at least once the sight and the sound on a ring rotor vintage Citizen movement. I really am!